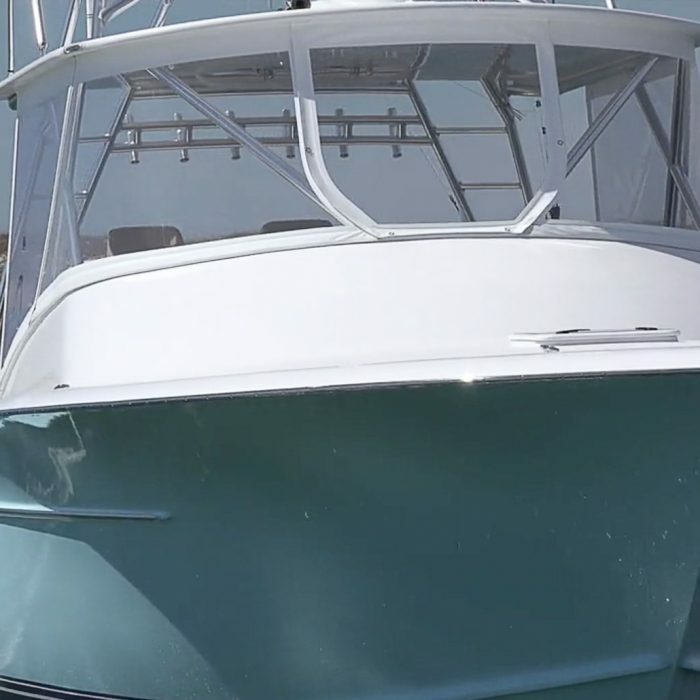 Hull W-14 from Winter Custom Yachts is the perfect dual combination boat. 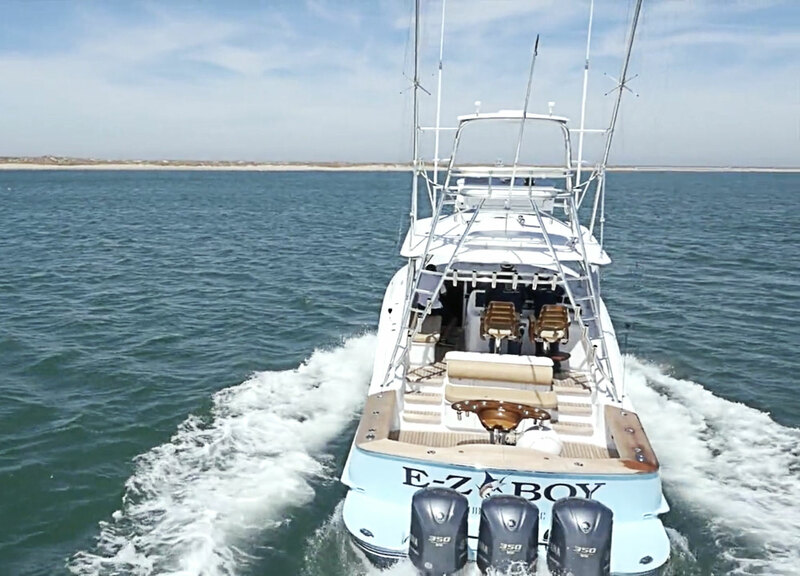 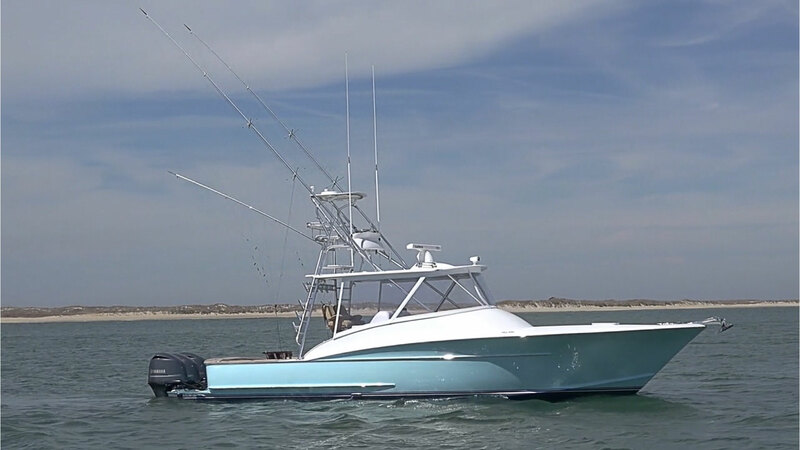 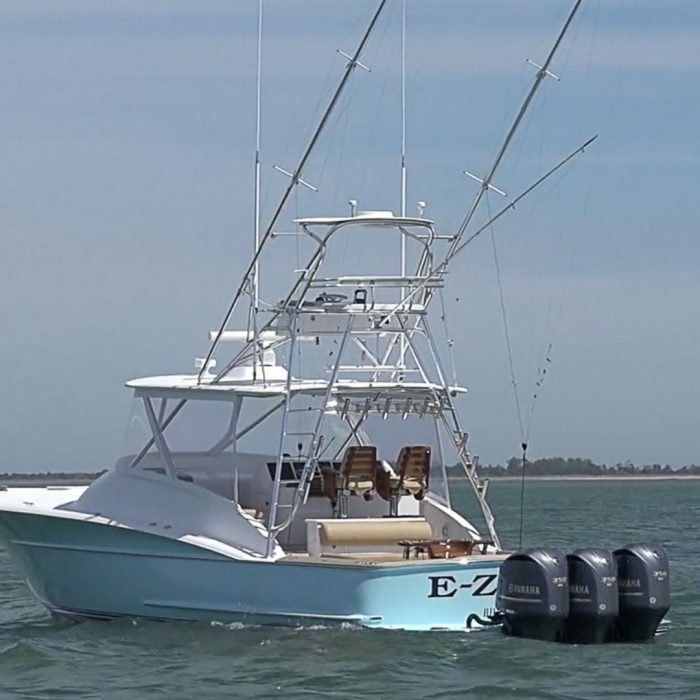 At 42’1″, her size makes her perfect for fishing off the coast of North Carolina while her outboards, hung on a bracket, make it easy to beach the vessel when relaxing with the family. 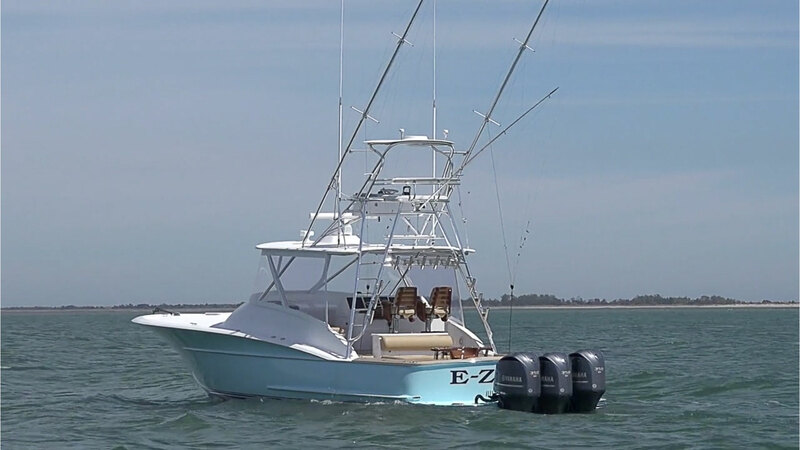 The owner wanted a boat that provided the power and stability of a larger vessel with the speed and maneuverability of a smaller center console. 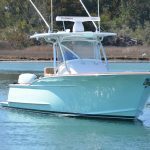 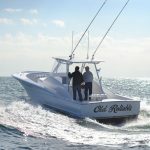 Winter delivered on these needs with a unique Carolina-style custom yacht that has since made a name for herself in North Carolina billfish tournaments. 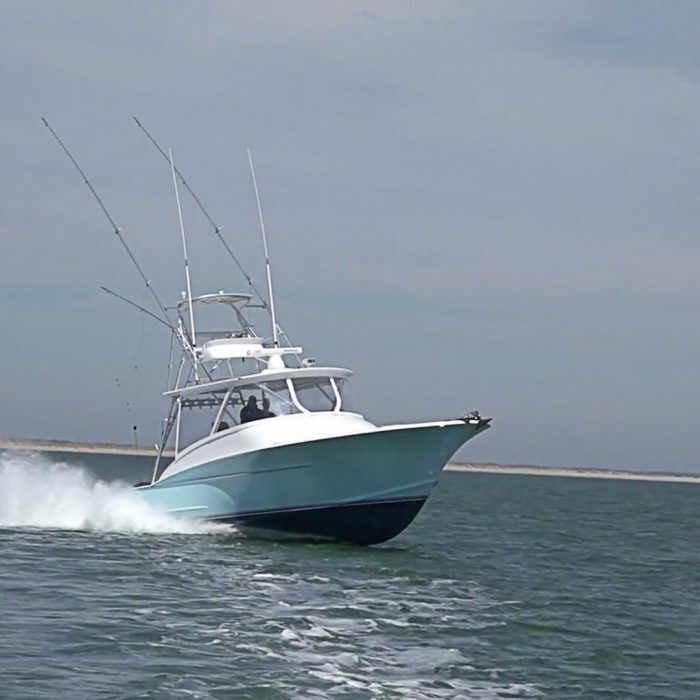 When not offshore, Hull W-14 can be found scouring the inner sounds behind Shackleford Banks. 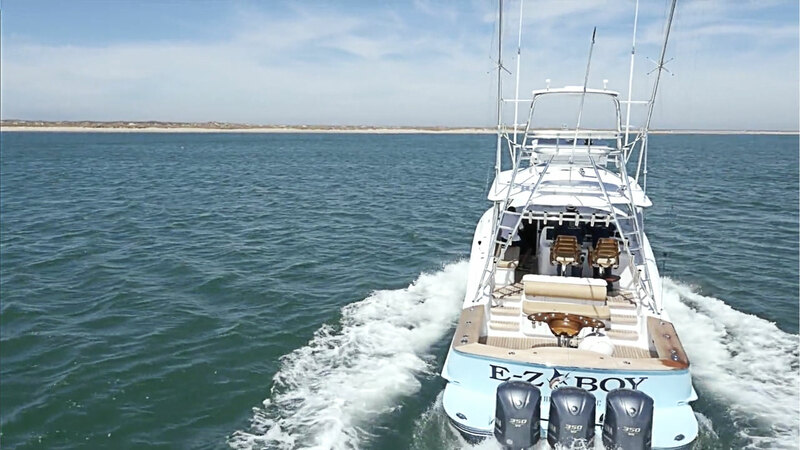 The express is built on Winter Custom Yachts’ classic Carolina-style hull with a contemporary bottom designed for speed, cruising at over 34 knots and a wide-open throttle of 42 knots. 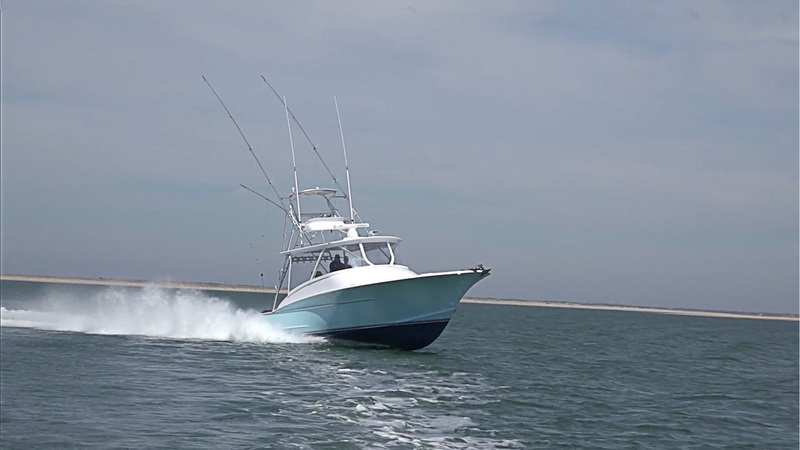 Her moderate dead rise aft transitions into a deeper forefoot. 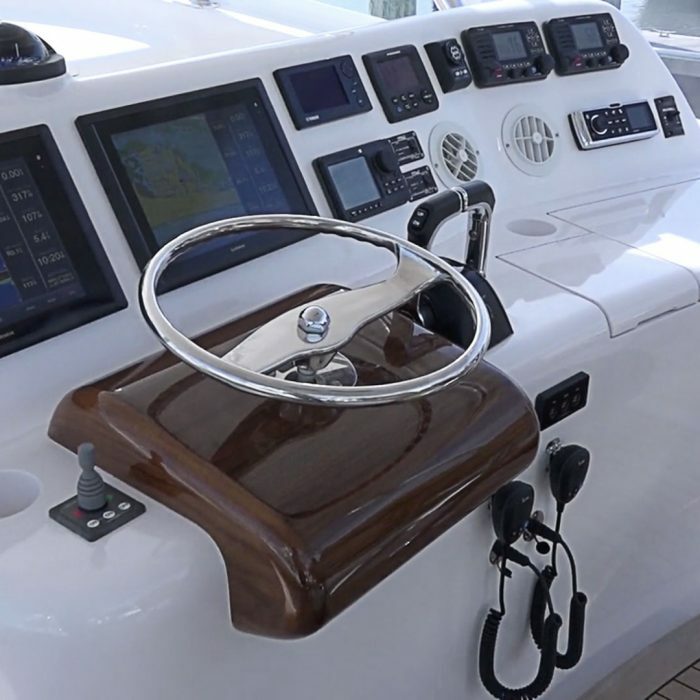 Three outboard engines are hung on a custom integrated bracket that increase the running surfaces to that of a 43′ boat. 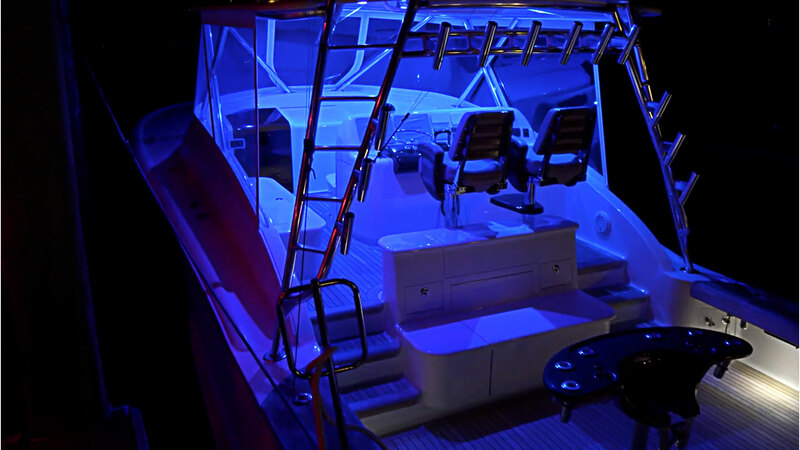 A custom Garelick swim ladder and underwater lights add a personalized touch to the boat’s exterior. 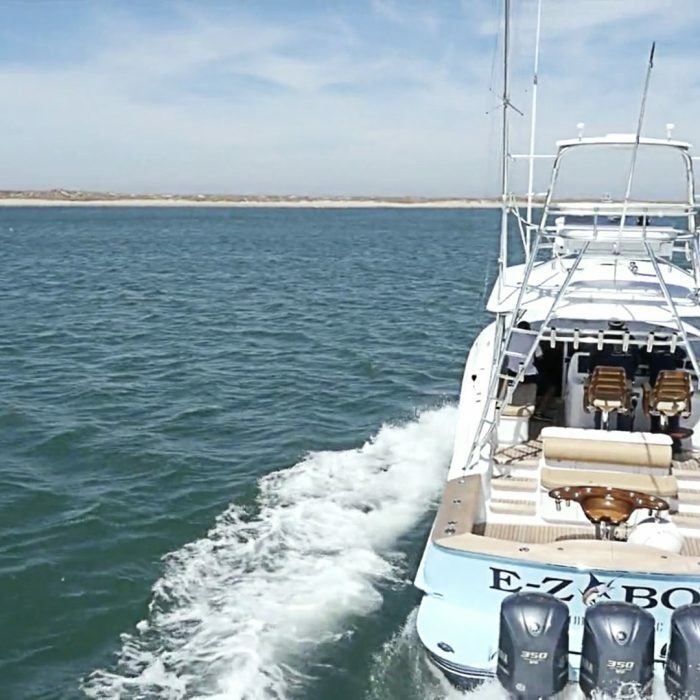 The aft mechanical compartment houses an Onan genset, fuel tanks, and Seakeeper 7 gyro. 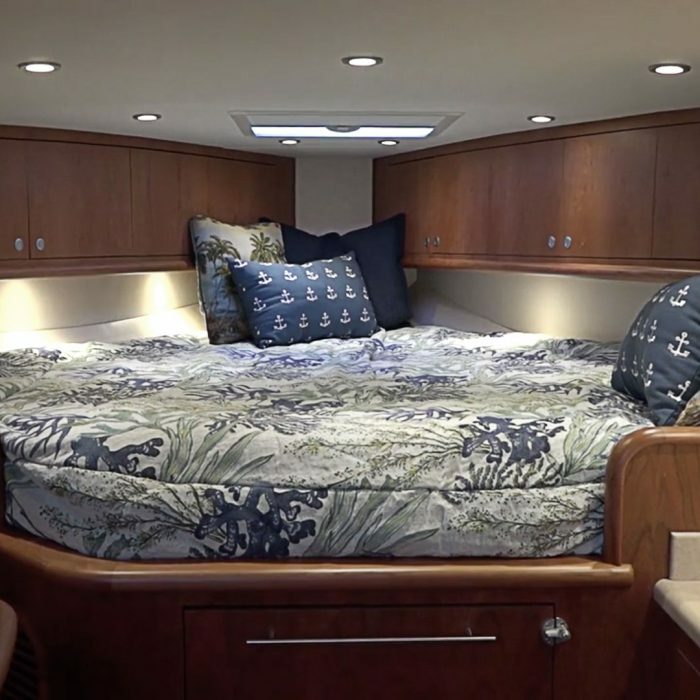 The cockpit features teak covering boards and decks throughout the mezzanine and bridge deck. 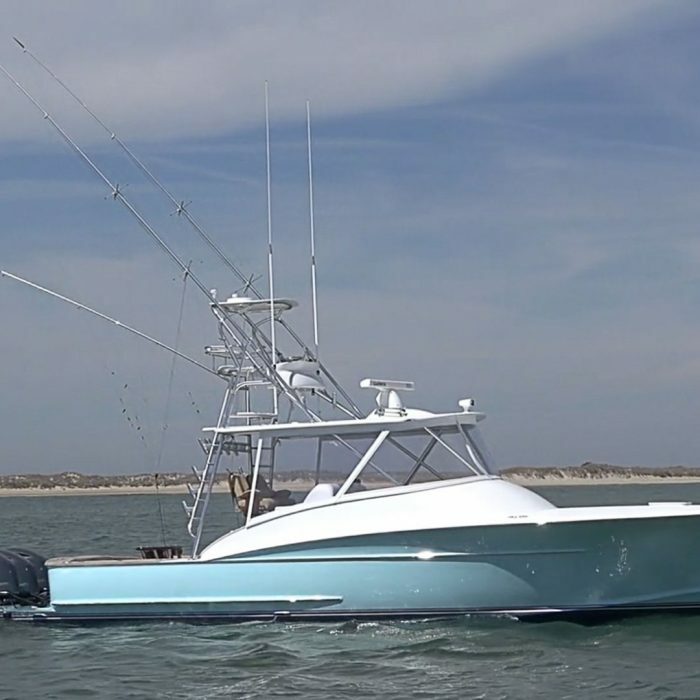 The transom fish box also converts into a baitwell. 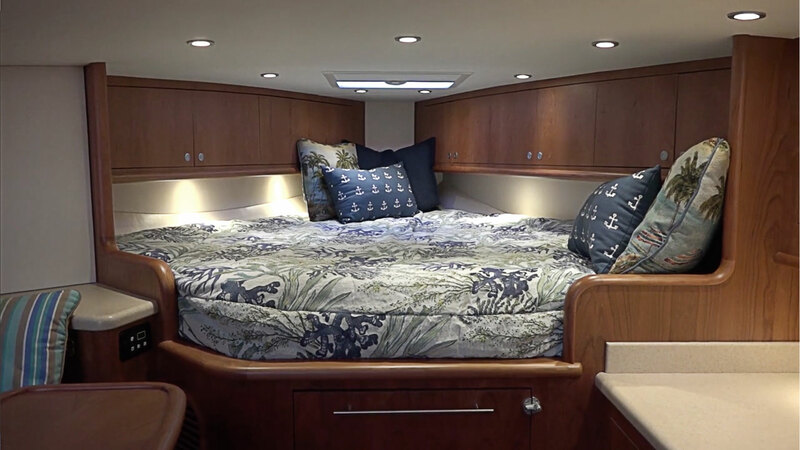 The centerline mezzanine is also a dual-purpose tackle center with numerous custom cabinets for fishing tackle and Plano trays. 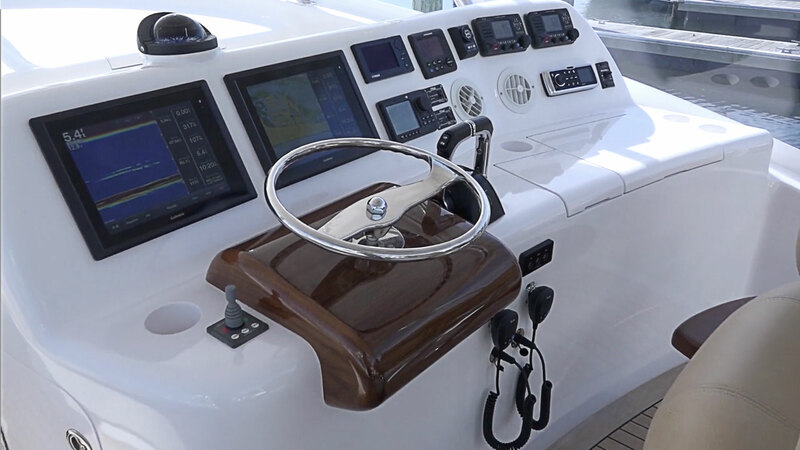 The interior is made complete by masterfully-crafted quarter sawn cherry, Whisper Walls, and Corian countertops. 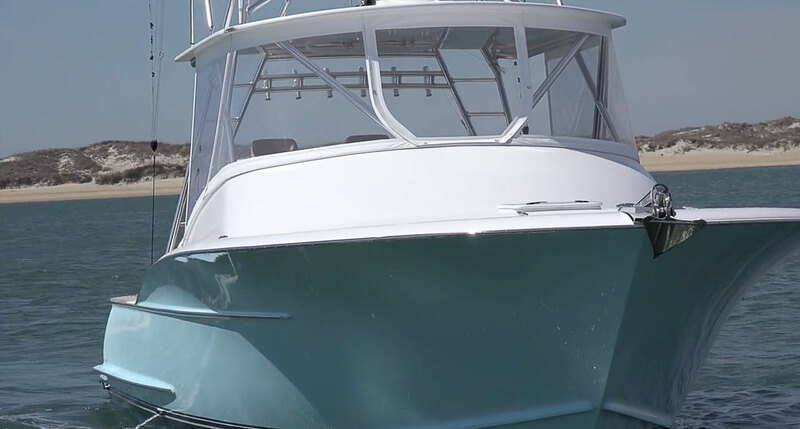 Although such premium materials and features are typically found on much larger sport fishing boats, Winter and the owner agreed that Hull W-14 is a special craft and needed the very best. 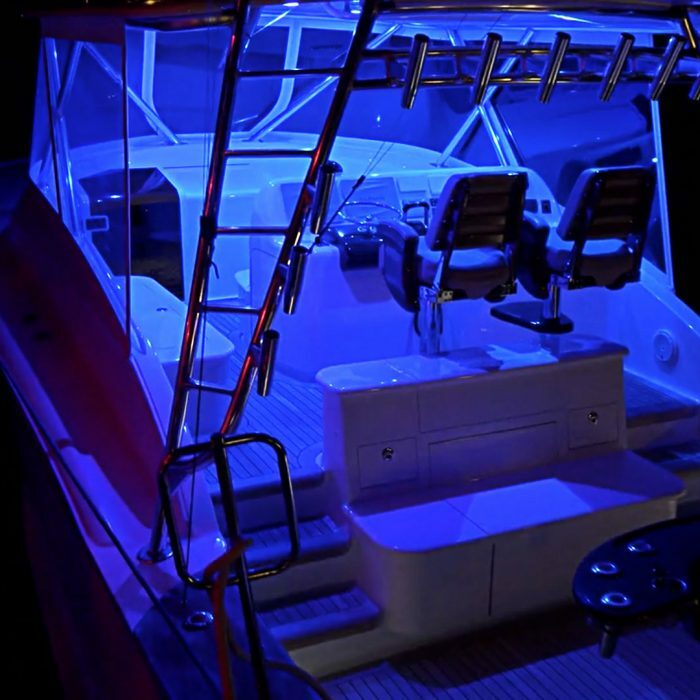 The amount of detail on exhibition throughout the boat, coupled with its outstanding performance make this a remarkable platform for all sea-faring endeavors.